Hiking training is a fun yet practical program at the Hike House University. Our programs are designed for you to learn and develop your outdoor skills. We guarantee that our hiking training and education will increase your appreciation and enjoyment of every hiking adventure. We accommodate all ages and all skill levels. Starting is easy because the Associate’s Degree in Red Rocks is free and fun. 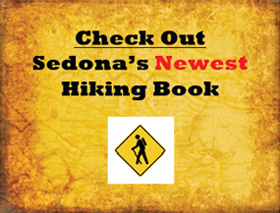 We will introduce you to proper Hiking Preparedness, Safety, Equipment, our Forest Service, and our beautiful Coconino National Forest. 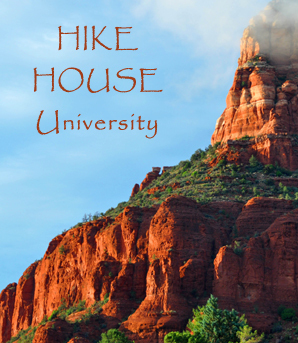 Classes at Hike House University are taught at The Hike House and/or in a wilderness setting. 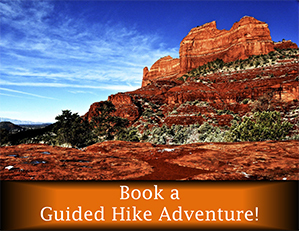 The Hike House University begins your hiking training in the Coconino National Forest but offers opportunities for hiking adventures around the world. 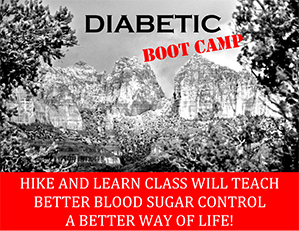 Advanced classes will be taught as “the world” as our laboratory. Some advanced classes may offer the opportunity for travel and hiking adventures beyond the United States. Our goal at the Hike House University is to provide an opportunity for every hiker to enjoy a better hiking experience through knowledge and applied education. Please see the class syllabus for further details.